Traveling to Sydney, Australia can be a once-in-a-lifetime experience. Perhaps the most remote of the world’s great cities, at least to many people around the world, it requires a real commitment and a lot of advance planning. However, as most anyone who’s visited before will happily tell you, it’s well worth the wait and the trouble. And if you do make the effort to go, here’s our look at some of the things to see and do that will help you get the most out of it. It’s best to get the “touristy” idea out of the way early. 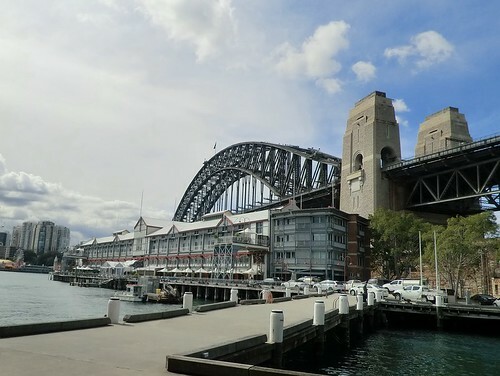 The Sydney Harbour, and the Sydney Harbour Bridge that stretches across it, are two of the most famous landmarks in town. And for the most part you can enjoy them passively, seeing them in the background as you tour the city. However, walking the Harbour Bridge is worth it. For some that means simply walking across the bridge – for others, doing the famously thrilling “bridge walk,” up and over the massive arches. The latter is really one of the most memorable experiences in town. Bondi Beach is the most famous of several in or around Sydney, and it’s a place you should get a look at if you have time. Manly Beach can be more enjoyable however, as it’s at least somewhat less crowded. It also may be the best for surfing, which is an activity you have to try if you’re visiting Australia and have any interest in adventure or outdoor activity. 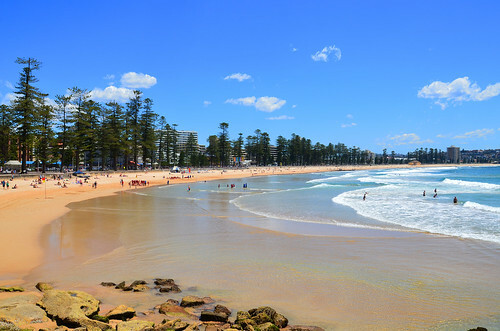 As stated in a Canadian travel site’s list of reasons Manly Beach is Sydney’s best, consistent swells make for perfect conditions, and the winding coast even makes for a little sheltered area that’s perfect for beginners. 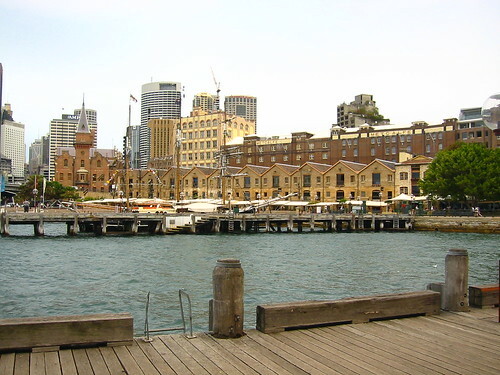 The Rocks is a really cool area of Sydney, and one that gets surprisingly little publicity. Essentially the city’s version of an Old Town, it’s a colonial neighborhood with some buildings and roads that are largely leftover from the 18th century, when British colonists first arrived and built up what would become the city we know today. There’s something to be said for simply walking around this area and enjoying the atmosphere, but there are also some terrific old pubs that make for some of the best places in town to grab a drink. Sports are a big part of Australian culture, with cricket and rugby in particular being available as live events in Sydney. 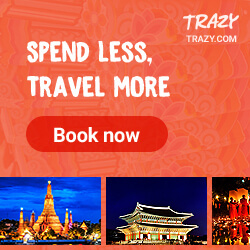 They’re worth seeing, particularly given that this is one country where you can get involved in the action – as many do – through wagering. Online betting these days is about more than having all the top events’ odds at your fingertips, but in fact involves all sorts of creative ways to engage with the entertainment. So the combination of a vibrant local sports scene and legal betting makes a live cricket, rugby, or even Aussie Rules football match a great activity to enjoy in town. 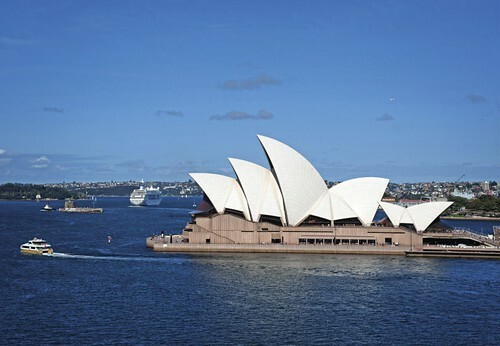 Aside the harbour and Harbour Bridge, the Sydney Opera House is undoubtedly the biggest tourist attraction and most recognizable landmark in the city. It’s famous largely for its incredible construction, and in that regard it’s about as unique as any building in the world. Inside however there are spectacular theatre venues, and you can see more than just opera there. It’s in any visitor’s best interest to check the schedule and try to attend an event in this building. Technically ballooning is in Campbeltown, southwest of Sydney, but it’s still a perfect activity for anyone visiting the city. The idea is to float over Camden Valley, enjoying some of the most spectacular scenery in Eastern Australia. Some of the best expeditions leave early in the morning such that you actually witness the sunrise from the air. 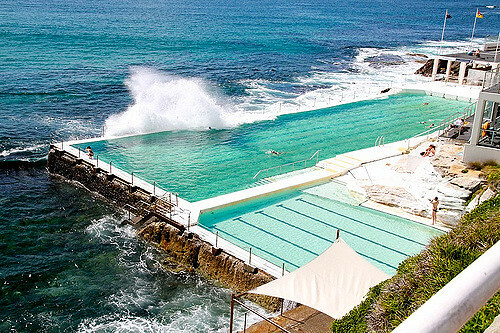 The baths and saltwater pool of Bondi Beach make for a truly incredible sight. They’re built right up against the water, such that they almost seem more like natural ocean sectioned off for visitors than artificial pool areas. In fact, the main pool is designed such that the ocean splashes over the sides, refilling it with saltwater on a continual basis. The pool is one of the sights you come across on the famous Bondi to Coogee coastal walk (also recommended), and while it’s part of a club with more extensive services, it only costs $5 to enter for visitors passing by.